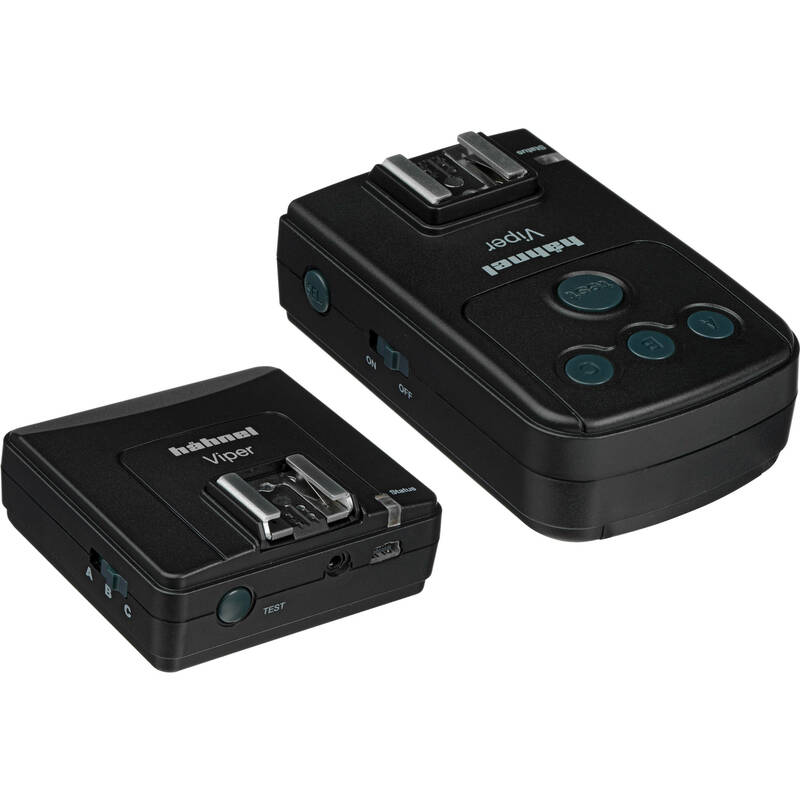 The Viper Wireless Flash Receiver for Canon Flashes from hahnel is a component of the Viper Wireless Flash Trigger system that allows you to fire multiple Canon flash units from a single camera at distances up to 328'. The system uses the 2.4 GHz frequency and features a mini-USB port to connect flash units, for firmware updates, or for external power. There is also a 2.5mm port for standard flash connections. The receiver runs on two included AA batteries. Box Dimensions (LxWxH) 6.2 x 4.0 x 1.5"